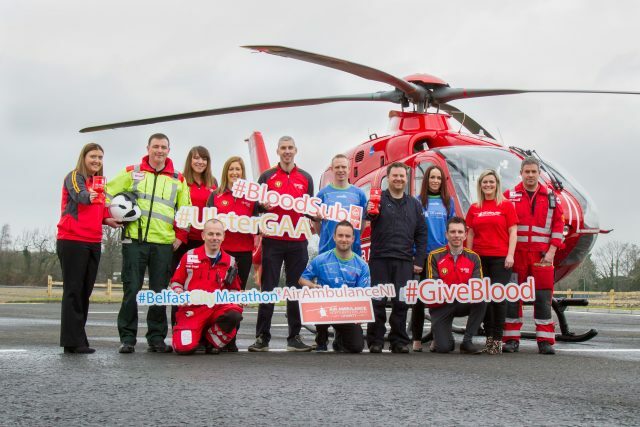 Ulster GAA staff are putting their best foot forward to fundraise for the Air Ambulance and to promote blood donation for both the Northern Ireland Blood Transfusion Service and the Irish Blood Transfusion Service. On Bank Holiday Monday 7th May, 20+ members of Ulster GAA and friends will take part in the 2018 Belfast City Marathon in memory of their dear friend and former Provincial Secretary/CEO of Ulster GAA, the late Dr. Danny Murphy, who sadly lost his brave battle with cancer just over a year ago. 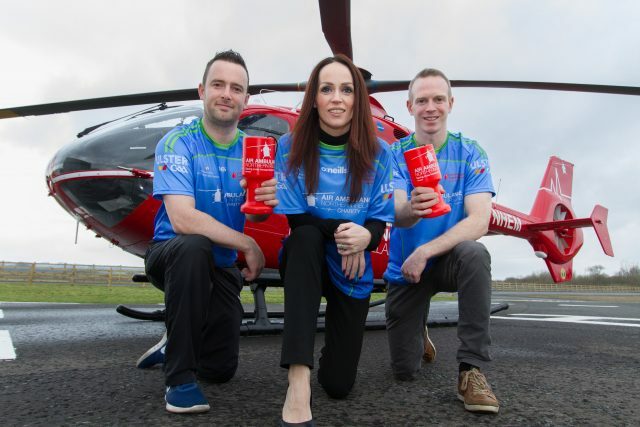 Ulster GAA is aiming to raise a significant amount for the Air Ambulance with four entries into the Team Relay Event as well as one staff member taking part in the full Marathon Race. Air Ambulance NI is the charity that fundraises for and manages the helicopter operations of the region’s Helicopter Emergency Medical Service. It works in partnership with the NI Ambulance Service and the Health Trusts which provide the medical teams on board its helicopter. It is a doctor-led service so its value is in getting hospital Emergency Room level treatment to trauma casualties on site in minutes, as well as slashing the travel time for the transfer of casualties to hospital.